In the current mantra of the consensed climate science community, every adverse weather-related event is alleged to have been caused by, or worsened by, climate change. Unverified climate models are being used in attribution studies to calculate the supposed percentage by which certain events were worsened by climate change. 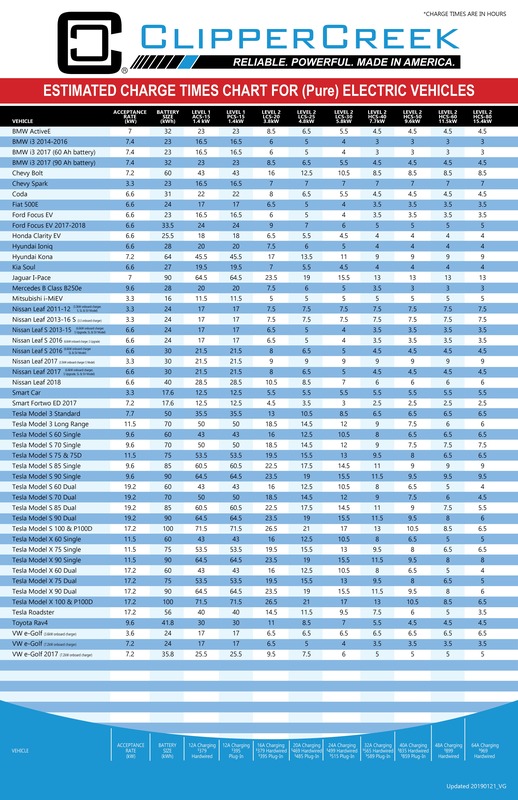 The attributed percentages vary wildly, depending on which model is used and which assumptions are input to the model. Perhaps the most absurd collection of attributions relates to the recent wildfires in California. State government officials have been quick to attribute the occurrence or increased extent and intensity of most of these wildfires to climate change. Post-fire investigations have established that the fires were the result of numerous causes including arson, out-of-control homeless camp cooking and heating fires, and improperly maintained and operated electric transmission facilities. The most destructive of the recent wildfires, the Camp Fire, is believed to have been caused by electric transmission facilities owned and operated by Pacific Gas and Electric Corporation, California’s largest utility. PG&E has since filed for Chapter 11 bankruptcy protection because of its potential legal liability resulting from the numerous wildfires believed to have been caused by its facilities. The Wall Street Journal described the PG&E bankruptcy as: “The First Climate-Change Bankruptcy”, though it has since provided a more comprehensive attribution. However, based on the Cal Fire determination shown above, numerous studies of forest management practices and analysis of the growing urban-forest interface, it appears absurd to attribute the PG&E bankruptcy or the California wildfires to climate change. Wildfires occur for a number of reasons. It is not possible to prevent wildfires, but it is possible to minimize their occurrence and reduce the damages they cause. Improved forest management practices have the potential to greatly reduce wildfire damage, but are frequently resisted by environmentalists on the grounds that active forest management disturbs the natural order. Unfortunately, in many cases, wildfires are the natural order. Attribution of wildfires and other naturally-occurring events to climate change is politically convenient, in that it diverts attention from other causes, focusing it instead on catastrophic anthropogenic global warming and climate disruption. Climate change does not start wildfires. Climate change does not add fuel sources to the forest floor which contribute to the intensity and spread of wildfires. The alleged contribution of climate change is changes in precipitation which encourage the growth of various types of plants when precipitation increases, providing an increased stock of combustible material when precipitation decreases. However, precipitation has varied seasonally and annually for as long as man has been monitoring precipitation; and, wildfires were occurring long before anthropogenic climate change became an issue. Focusing attention away from the actual causes of wildfires will do nothing to reduce their occurrence or effects. "A movement has been growing for decades to replace hydrocarbons, which collectively supply 84% of the world’s energy. It began with the fear that we were running out of oil. That fear has since migrated to the belief that, because of climate change and other environmental concerns, society can no longer tolerate burning oil, natural gas, and coal—all of which have turned out to be abundant. “So far, wind, solar, and batteries—the favored alternatives to hydrocarbons—provide about 2% of the world’s energy and 3% of America’s. Nonetheless, a bold new claim has gained popularity: that we’re on the cusp of a tech-driven energy revolution that not only can, but inevitably will, rapidly replace all hydrocarbons..."
"The much-hyped Green New Deal (GND) is being pushed by a rump group of progressive-socialists in the Democratic Party, including prominent members of the Senate with stated presidential aspirations. If enacted, GND would constitute a complete socialist makeover/takeover of the economic system of the United States." The universe is estimated to be approximately 13.7 billion years old. Our solar system is estimated to be approximately 4.6 to 5 billion years old, while the earth is estimated to be approximately 4.3 to 4.6 billion years old. Earth’s history is one of periodic glacial periods, shifting continents, volcanic creation and destruction, occasional meteor impacts and a variety of other major and minor events. Our understanding of earth’s atmosphere and climate is very limited prior to approximately 500 million years ago. The graph below illustrates our current understanding of the earth’s climate history over that period. The most recent period in earth’s history is arguably the period of greatest temperature stability in the historical record. 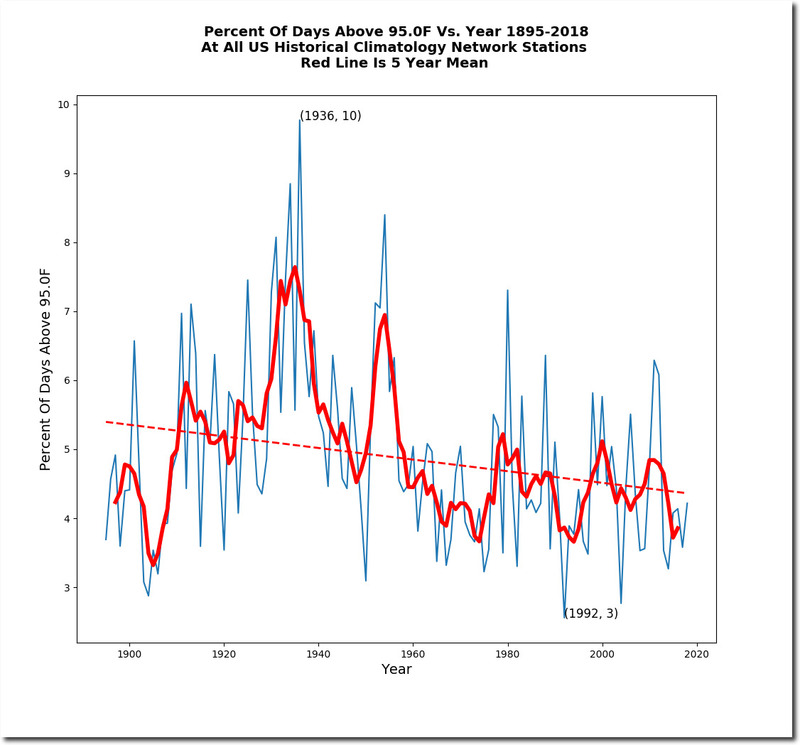 However, it is obvious the climate continued to change over this period. 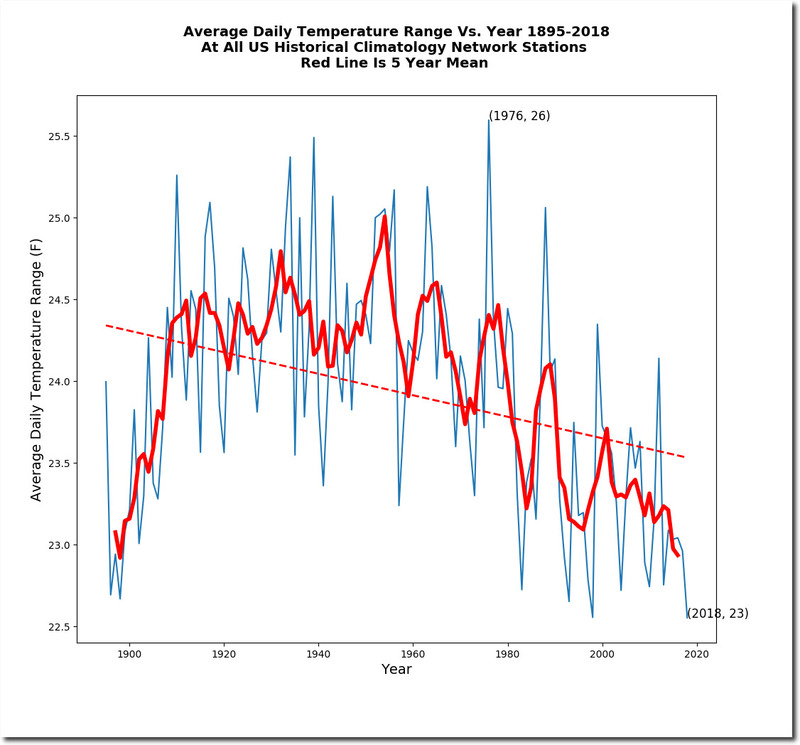 There is no obvious period of temperature stasis anywhere in the record; and, it seems strange to suggest that the current period should become a period of temperature stasis. There is also no reason to believe that Milankovitch cycles have ceased. Rather, the graph above suggests that the earth might be approaching the peak of a Milankovitch cycle, which would then be followed by several thousand years of cooling temperatures. The graph below illustrates both the temperature and atmospheric CO2 concentration over the entire estimated period of earth’s existence. Temperatures and CO2 concentrations in the atmosphere have been substantially higher in the past than is the case today. The glacial periods shown in the graph above all occurred when atmospheric CO2 concentrations were as high as or higher than current atmospheric CO2 concentration, as shown in the graph below. Modern humans as we know them are thought to have evolved approximately 315,000 years ago, though there is evidence of other hominin species as long as 6-8 million years ago. The red X in the graphs above indicate the approximate appearance of modern humans. Modern humans are believed to be the only one of the hominin species which has survived. However, if we accept Darwin’s Theory of Evolution, the predecessor organisms of modern humans and all other currently existing creatures have existed on earth throughout its existence, adapting and surviving or not adapting and becoming extinct. The graphs above make it clear that our human ancestors have adapted, survived and ultimately thrived through a series of temperature changes. The historical record illustrates that humans have fared better in warm than in cool periods. The temperature changes during the Roman Warm Period, the Medieval Warm Period, the Little Ice Age and the current warm period pale in comparison to the temperature changes labeled as the Milankovitch Cycles in the first graph above, no less the temperature changes which occurred more than 8 million years ago. "... I am increasingly concerned that both the climate change problem and its solution have been vastly oversimplified.1 For the past decade, I have been promoting dialogue across the full spectrum of understanding and opinion on the climate debate through my blog Climate Etc. (judithcurry.com). I have learned about the complex reasons that intelligent, educated and well-informed people disagree on the subject of climate change, as well as tactics used by both sides to try to gain a political advantage in the debate. Moving forward with pragmatic climate change policies ..."
This is a long post: 3500+ words and 22 illustrations. Regardless, heretics of the church of human-induced global warming who frequent this blog should enjoy it. Additionally, I’ve uncovered something about the climate models stored in the CMIP5 archive that I hadn’t heard mentioned or seen presented before. It amazed even me, and I know how poorly these climate models perform. It’s yet another level of inconsistency between models, and it’s something very basic. It should help put to rest the laughable argument that climate models are based on well-documented physical processes. This series of commentaries has evaluated various aspects of the “Green New Deal” (GND) focused on reducing US emissions of “greenhouse gases” to avoid a projected climate catastrophe. These commentaries have identified a deadweight loss of approximately $62.5 trillion, mostly resulting from the abandonment of energy resources and energy industry infrastructure. They have also identified costs of approximately $3.5 trillion for a national high-speed rail network; approximately $18 trillion for building retrofit and reconstruction; and, between approximately $3–9 trillion for electric vehicle infrastructure. This represents a total investment requirement of approximately $25-30 trillion. These commentaries have not addressed the non-emissions related aspects of the GND. Dr. David Wojick has estimated that the total cost of the GND would be approximately $100 trillion, or approximately 50% of the US gross domestic product over the 10-year implementation period. The GND would require major changes in US society and in the US economy. It exists today only as non-binding House and Senate resolutions. The GND resolutions have 64 House and 9 Senate Democrat co-sponsors, including 6 announced Democrat 2020 presidential candidates. This would appear to assure that the GND will be a subject of very active discussion during the 2020 presidential campaign and numerous 2020 House and Senate campaigns. The climate change aspects of the GND might well be a “stalking horse” for the socialistic and redistributionist aspects of the GND; and, on a global scale, for the UN Agenda 21. The concern regarding potential catastrophic anthropogenic climate change remains based strictly on projections produced by unverified climate models fed with uncertain climate sensitivity, forcing and feedback estimates. These remain poor justification for extremely extensive and expensive societal change. Transportation applications account for approximately 29% of US energy consumption annually. Approximately 60% of this total is motor gasoline for use by automobiles, light trucks and other small to medium engine applications. Approximately 26% of this total is diesel fuel for use in some automobiles and light trucks, but predominantly in heavy duty trucks, road tractors and farm implements. The GND would require that these transportation applications switch from fossil fuels to either electricity or biofuels to achieve net-zero CO2 emissions. Ethanol/gasoline blends and biodiesel are currently in use in the US as motor fuels. Internal combustion engines can be designed to run on 100% ethanol, but are not now in common use. Ethanol currently represents approximately 10% of US motor gasoline blend consumption, so ethanol production would have to be increased by an order of magnitude to replace gasoline as a motor fuel. However, straight ethanol is not compatible with current motor vehicle engines and fuel systems; and, adaptation of existing vehicles to run on ethanol would be complex and expensive. Approximately 95% of current US ethanol is produced using field corn while only 5% is cellulose sourced. Production of cellulosic ethanol is currently more expensive, even though it relies primarily on waste products and grasses as its source. However, an order of magnitude increase in production would require greater reliance on crops grown specifically for use in ethanol production, requiring increased agricultural acreage. Biodiesel currently represents approximately 5% of US diesel fuel consumption. It can be used interchangeably in current diesel engines. Current biodiesel production relies significantly on waste feedstocks, but replacing petroleum distillate with biodiesel would greatly increase dependence on crops grown specifically to support biodiesel production, requiring increased agricultural acreage. Battery electric vehicles (BEVs) are currently available for personal use, but offer relatively limited range compared to vehicles operating on gasoline/ethanol blends or biodiesel. Also, battery electric vehicles typically require several hours to recharge their batteries compared to the few minutes required to refuel gasoline and diesel vehicles. Vehicle range and recharging time are functions of the installed battery capacity in the vehicles, the rate at which the batteries can accept charge and the capability of the charging station. The current state of the technology limits BEVs to roughly half the range of current gasoline and diesel vehicles. The first BEV road tractors are expected to be introduced to the US market in 2019. The road tractor is expected to have an operating range of approximately 500 miles and a recharging time of approximately 30 minutes. BEV transit buses are currently available, with an estimated range of approximately 350 miles, which would satisfy the requirements of many urban routes. This technology could be applied to tour buses as well, though the requirement for under-floor baggage storage would limit volume available for batteries, probably limiting operating range significantly. BEVs are currently more expensive than gasoline and diesel vehicles, primarily because of the cost of the batteries. BEVs with longer ranges require larger battery packs and consequently are more expensive than those with limited range. There are currently approximately 270 million motor vehicles operating in the US. The GND would obsolete all of the current vehicles with the exception of the diesel vehicles remaining at the end of the 10 year implementation period, assuming that sufficient biodiesel fuel were available to fuel the diesel vehicles. The residual value of these vehicles, on the order of $1 trillion, would be a deadweight loss. There are currently 120 million vehicle fossil fuel dispensers in the US. Simply replacing these dispensers with high speed electric vehicle charging Electric Vehicle Supply Equipment (EVSE) would require an investment of approximately $3 trillion. However, the greater time required to recharge electric vehicles might well require a significantly greater number of EVSEs, perhaps doubling or even tripling the investment required. The principal energy efficiency thrust of the “Green New Deal” is "upgrading all existing buildings in the United States and building new buildings to achieve maximal energy efficiency, water efficiency, safety, affordability, comfort, and durability, including through electrification". Building Green analyzed “The Challenge of Existing Homes: Retrofitting for Dramatic Energy Savings” several years ago. The residential sector includes approximately 125 million dwelling units, including approximately 85 million single family detached structures; and accounts for approximately 20% of US energy consumption. Intelligent choices regarding building envelope characteristics, window and door choices, appliance and equipment choices can make large differences in building energy consumption, typically at relatively modest cost. Retrofitting existing buildings of any type is far more challenging and expensive. Building retrofits are an exercise in “Broken Window Economics”, since functional components such as windows and doors, appliances and equipment are being removed and replaced with more efficient equipment before the ends of their useful lives. Improving the insulation in existing structures is also frequently very difficult and expensive. Additional attic insulation and installation of insulation over crawl spaces is relatively straightforward, as is adding insulation to uninsulated walls and replacing caulking and weather stripping. However, adding insulation to walls which are already insulated, though not optimally, can be both very expensive and relatively ineffective. Adding insulation to existing building slabs is typically prohibitive. The intent of the GND is to accomplish what Building Green refers to as a major energy retrofit, which they estimated would incur an average cost of approximately $50,000 per dwelling unit. Accomplishing a major energy retrofit of 125 million dwelling units in the 10-year time horizon suggested by the GND would cost approximately $6 trillion, assuming the availability of sufficient building materials and sufficient skilled labor to complete the retrofits. The number of dwellings to be retrofitted each year would be an order of magnitude greater than the number of such retrofits being performed each year today. There are approximately 5.6 million commercial buildings in the US, containing approximately 87 billion square feet of floor space. These buildings consume approximately 18% of all US energy. The average commercial building is approximately 7 times the area of the average residential dwelling. Applying this ratio to the major energy retrofit cost for the average dwelling suggests that accomplishing a major energy retrofit for these buildings would cost approximately $2 trillion, again assuming the availability of sufficient materials and skilled labor to accomplish the retrofits. Retrofits of industrial facilities could only be analyzed on an industry by industry basis, since the structures involved vary so greatly, as does the process equipment in use at these facilities. Such an analysis is beyond the scope of this commentary. However, US industry consumes approximately 33% of total US energy consumption, so major energy retrofits would be essential to achieving the energy consumption reduction goals of the GND. The costs could easily approach $10 trillion, assuming that the required alternative energy use technologies and equipment were even available for application.